Since transitioning from a veggie to vegan lifestyle almost two years ago, I’ve discovered some incredibly inclusive restaurants in the Midlands, although there’s still a lot of room for improvement when it comes to restaurants catering for plant-based consumers. With the veganism movement hitting the mainstream, it’s never been more important for restaurants to offer plant-based meals. Here’s why a vegan menu is the key ingredient to success for any restaurant/bar/café. In 2018, 51 percent of chefs in the US added vegan items to their menus, according to a new study by food industry insight company, Foodable Labs. The 31 percent rise in plant-based menu items from last year may be partly due to the influence of social media food-bloggers, the study found. According to the study, tagged and shared photos of vegan foods have increased by 79 percent in the last year, and nearly half of influencers have requested more plant-based options at restaurants. 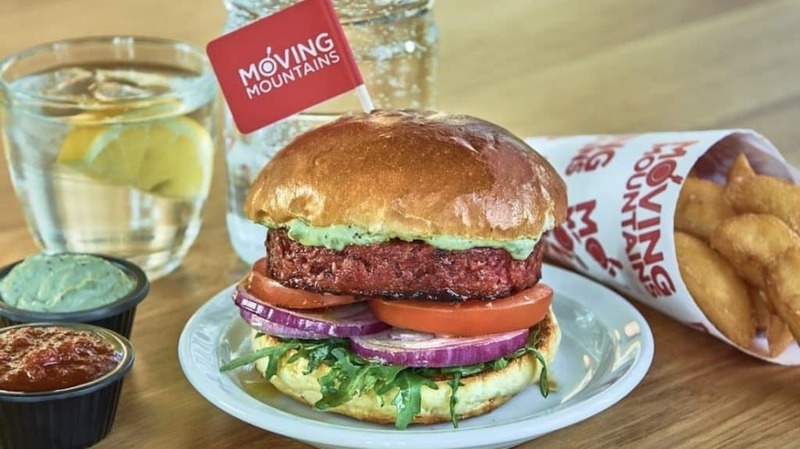 Apart from giving customers what they want, the move to add more vegan food to your menu is also profitable – as the last year has seen a 300 percent increase in the number of people who identify as vegans in the US. In just one year, restaurant owners saw a 13 percent increase in business in response to adding vegan options. Seven percent of Brits have ditched animal products and are enjoying a plant-based lifestyle, and no, it’s not all lettuce munching and seeds – there’s much more to this lifestyle than meets the eye. Across the Midlands, pubs, restaurants and cafés are adding vegan menus to cater for the growing vegan population – and they’re reaping the rewards of opening their doors to a whole new community. The rise of Facebook groups has allowed the vegan community to be more connected than ever. With over 6,500 members in the ‘Birmingham Vegans’ group alone, it’s safe to say the movement is rising in the UK as well as in the US. In the Facebook group, members share recipes, reviews, events, memes, and of course, recommendations on the best restaurants/bars/cafés to visit within Birmingham. Tesco recently announced that they have decided to double their vegan food range, as the demand for plant-based food soars. Making vegan food the UK’s fastest growing culinary trend of 2018. Offering vegan options allows you to cater for everyone, including: meat eaters, vegetarians and vegans alike. Groups of friends, families and work colleagues are able to enjoy a meal out together, without someone feeling like they’re not being catered for. Stepping outside the box to offer something unique and creative gets your business ‘cool points’. Making YOUR restaurant the trend-setter when it comes to keeping up with the trends in the hospitality industry – not to mention the positive press and social media attention that can be generated. With a lack of options in most cities in the UK, if you’re a restaurant that makes a vegan happy you will have yourself a customer for life. Especially if you’re located in a small town where vegan options are scarce. It’s easy to create tasty dishes using ingredients you probably already have on hand. Not only is it easy, but it’s cheap – it really is a no-brainer. VEGANS: As a customer, why not speak to your local restaurant’s manager to encourage them to provide more vegan options, or even create a vegan menu. Trust me, it really works! I recently spoke with a local hotel’s management team to see if there was scope to implement a vegan menu into their restaurant, and today it has been finalised and ready to roll out to the public! Please feel free to share this blog post far and wide to increase the chances of us vegans getting something other than a side salad and chips for dinner at our local restaurants. That’s it from me. So, what are you waiting for?